The prices listed in the chart below include YELLOW or CHOCOLATE cake iced in VANILLA or CHOCOLATE BUTTER CREAM with basic decorating ONLY! Basic decorating includes finished frosting, simple border – top and bottom, and your choice of basic flowers, balloons, or streamers and confetti with writing. Any other flavor or decoration choices will inquire an additional charge. If you are interested in getting pricing for a cake other than what is included in these prices, please give us a call so that we can work up a quote for you. 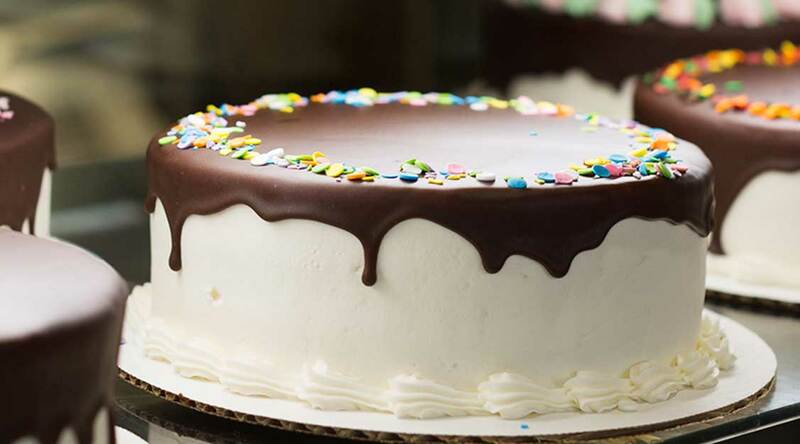 We are always glad to assist you in getting the perfect cake for your special occasion!